Ilaria Papini! – Oh, Bernice! The ever-friendly and radiant Ilaria Papini will read this Saturday. Come check out this multi-talented writer. Will she read a translation? Fiction? A play? ALL OF THE ABOVE? 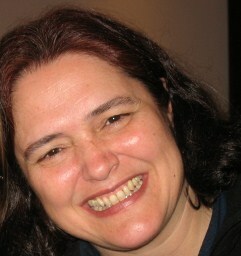 Ilaria Papini, a film and drama translator and a writer, has worked in film, theater and television. Among the films she has translated are works by such Italian greats as Fellini, Rosi, Antonioni, Pasolini, Bertolucci, and Nanni Moretti. She is currently a third-year student in the MFA in Creative Writing and Literary Translation Program at Queens College, CUNY. This entry was posted in Upcoming Events and tagged Ilaria Papini. Bookmark the permalink.